Gram flour or besan contains skin nourishing properties like multani mitti. It removes dirt and excessive oil present over the skin layer. Besan is very beneficial for all types of skin; dry, dull, oily or sensitive skin. It brightens the skin complexion, makes it smooth by removing dead skin cells. 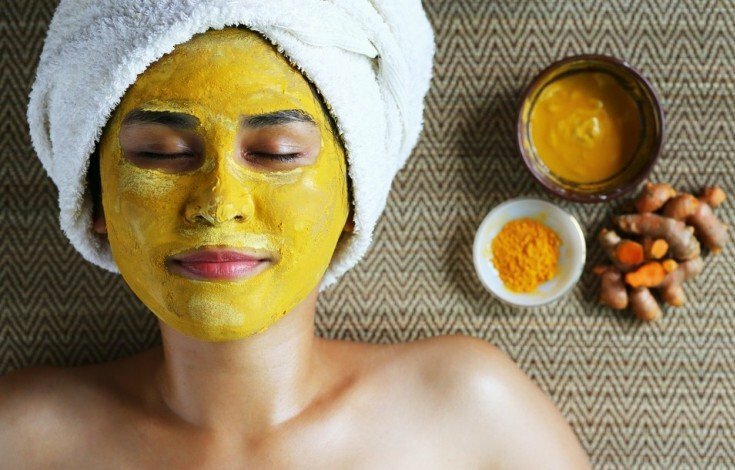 It is incredible remedy for acne, pimples and dark skin. Mix 1 tablespoon of multani mitti with 2 tablespoon of besan, 1 teaspoon honey and enough rose water to make smooth paste. Apply it over face for 30 minutes. Before washing it off; massage gently in a circular direction using some water. It will remove blackheads and whiteheads. Mix 1 tablespoons besan with 1 teaspoon sandal powder, 1 tablespoon honey, pinch of turmeric and enough rose water to make smooth paste. Apply it over face and wash off after 30 minutes. This is the best acne remedy. Mix half tablespoon of orange peel powder with 1 tablespoon of besan, pinch of turmeric and enough raw milk. Make a smooth paste and apply it for 30 minutes for glowing and healthy skin. Mix 1-2 tablespoon of ripen banana paste with 2 teaspoons of gram flour and 1 teaspoon honey or lemon juice. You can use enough water or raw milk to make smooth paste. Mix all ingredients well. Apply this mixture on your face. Keep it for 30 minutes and wash it off with lukewarm water. Boil 1 teaspoon of green tea in cup of water for few minutes. Strain the water and let it cool down. Then add 1 tablespoon besan in this green tea water and apply it on your face. Rinse it off with lukewarm water after 20 minutes. Add 2 tablespoons of gram flour with 1 egg white and 1 teaspoon honey. Then add enough water or rose water to make smooth paste. Apply this over your face and wash off with lukewarm water when it dries off completely. Boil handful of neem leaves in glass of water for few minutes; strain and let it cool down. Add 2-4 tablespoon of this neem water to 1 tablespoon of gram flour and mix thoroughly. Apply this paste on your face. Wash it off with lukewarm water after 20 minutes. Take 1 tablespoon of raw potato juice or paste and mix it with 1 tablespoon besan. You can add enough rose water to make fine paste. Apply this paste on face and let it dry. Wash off with lukewarm water. Take 2-3 tablespoon of gram flour in bowl and mix it with half teaspoon of turmeric, some fresh cream or milk and honey. All these ingredients are added to make the natural traditional face pack called ‘ubtan’. Apply it daily for 20 minutes to get smooth and glowing skin. Take 1 tablespoon besan, pinch of turmeric, 1 teaspoon honey and enough raw milk. Mix all these ingredients thoroughly to make smooth paste. Apply it on your face for 30 minutes and rinse off with normal water. Mix 1 tablespoon besan with enough fresh cucumber juioce. Make smooth paste and apply it for 30 minutes. Wash off with normal or cool water. Try this 3-4 times a week.